La Crosse Escape Room is western Wisconsin's first and only escape room experience. As we grow we will add additional rooms. To keep things fresh, we will change the room themes every year. La Crosse Escape Room is the western Wisconsin's Premier escape room experience! Since we are located in the old historic Batavian Bank building, we thought it was only fitting that our first room be a Bank Heist taking place in a room where the original vault used to be! As we grow we will add additional rooms. To keep things fresh we will be changing the room themes every year. We all know the saying…innocent until proven guilty. Well, the best criminal lawyer in Wisconsin wasn’t enough to keep you from behind bars. You and your team have been sentenced to life without the possibility of parole. After getting acquainted to your new home you start to learn the ins and outs of prison, and the schedules of the guards. The word in the “yard” is they’re cutting back on some expenses, namely staffing hours. After months of diligent research and sleepless nights, you discover that there is an hour-long window when security is at a minimum. To comply with the recent staff cuts, the guards must take shifts watching only certain cells throughout the night. This is your opportunity, your only chance at freedom. 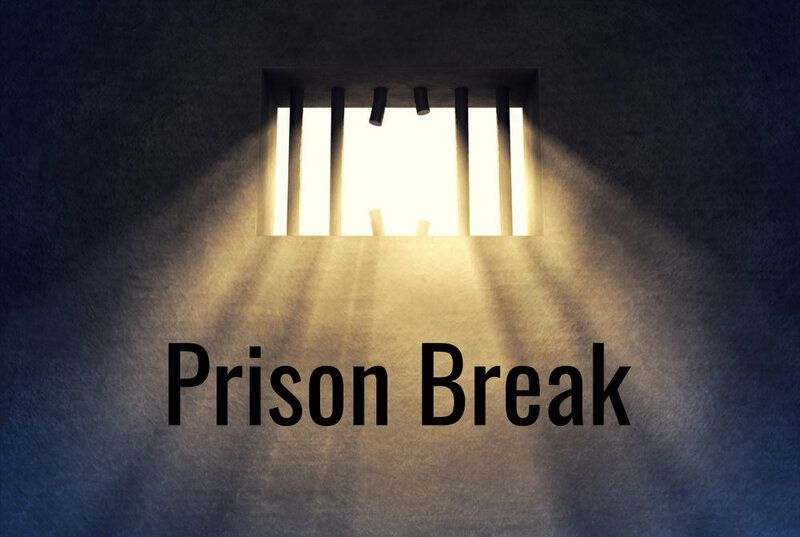 You and your team must work together, and be quick, if theres any shot at a Prison Break! You got yourselves into this mess, now its time to get yourselves out! Ahhh, paradise at last! Blue sky, white sand and beautiful ocean as far as the eye can see. But don't let it fool you! Due to a severe storm during a small private plane tour in The Bahamas, your pilot had to take a detour to the nearest island...in the Bermuda Triangle. Everyone is ok, but your plane wasn't so lucky. At first everything seems normal but upon further investigation you notice some things just aren't adding up. The navigation and radar are no longer functional. The radio still works, but not for long... Time is of the essence! There's still hope but after one hour the backup battery will die and you will have lost any chance of radio contact for help. You have one hour to locate the map, obtain the coordinates, and find the key to the aircraft to be rescued! Failure to do so will result in the same fate that has loomed with so many before you. In recent months, a mysterious serial killer who identifies himself as "The Revolutionary" committed four ghastly murders around the United States. Today, more victims have been captured, and are currently being held in a closet in his makeshift lair. Luckily, the victims are easy to locate thanks to cell phone GPS technology, and a group of brave individuals have arrived at the lair to attempt a rescue. Always one step ahead, The Revolutionary set a trap just inside his front door, and now the rescuers are also trapped in a closet in the lair. In 60 minutes, The Revolutionary will return to commit his fifth gruesome crime, unless the victims and rescuers can escape the serial killers's lair! You are a member of America’s most successful crime syndicate. Your specialty has always been lock picking, ever since, as a child, you learned how to crack the safe at your elementary school... and supermarket... and church. Today, you’ll be facing your greatest challenge yet, as you and your team attempt a heist at the Batavian Bank. Your recon team has just completed phase one of the heist – they have ensured the building is empty and gained access to the bank manager’s office, where the door to the vault awaits. They have assessed the situation and have reported that this particular vault is going to be difficult to compromise. They have discreetly hidden clues, tools and hints around the office which you will need to complete your job as safe cracker. Recon also reports that they have suspended the security system for 55 minutes. After that amount of time, the alarm will be activated, and you will have 5 minutes from that point to escape before law enforcement arrives. If you do manage to enter the vault, you will have to make a crucial decision: take the available money and run, or stay just a little longer to try to significantly increase your take.